Grey Matter Press, 9781940658605, 278pp. In the shadowy world of international espionage and governmental black ops, when a group of American spies go bad and inadvertently unleash an ancient malevolent force that feeds on the fears of mankind, a young family finds themselves in the crosshairs of a frantic supernatural mystery of global proportions with only one man to turn for their salvation. Combine the intricate, plot-driven stylings of suspense masters Tom Clancy and Robert Ludlum, add a healthy dose of Clive Barker's dark and brooding occult themes, and you have an idea of the horrifying world of supernatural espionage that the chilling novel MISTER WHITE will reveal. 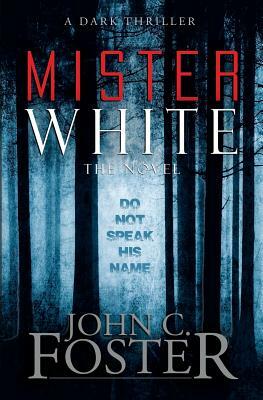 John C. Foster's MISTER WHITE is a terrifying genre-busting suspense shocker that answers the question that should never be asked: "Who is Mister White?